Choosing which Greek Islands to visit can be an exciting, but somewhat daunting task. It’s a good position to be in no doubt, but Greece has 2,654 islands and 164 of those are inhabited. For an indecisive person, that choice can be a tad bit stressful. This past summer, I was going to Greece for a wedding on the island of Karpathos and had about 3 more weeks to spend in Greece. I had absolutely no idea what islands to choose to visit after the wedding. I had already visited what I affectionately call “the Big Three” Athens (yes, I am grouping this in with the islands although I am very well aware it is not), Santorini, and Mykonos. When I tried to Google “best Greek Islands to visit” or “how to visit Greek Islands,” most if not all the posts I found were massive lists of all the potential Greek Islands I could visit and that made me even more overwhelmed. I hadn’t even heard of half of these islands before and now I was adding 10 more options to my already long list of potential destinations. After doing some more extensive research, I learned that travel between islands is actually somewhat costly and not quite as feasible as I had anticipated, so it was not practical for me to just randomly choose an assortment of islands from these lists. Instead, I came up with a series of steps to help me determine what would be the best strategy in visiting the Greek Islands on this 3-week summer adventure. Hopefully these strategies will help you plan out your ideal Greek Island hopping itinerary! The Greek Islands are typically grouped into 6 major geographical clusters plus Crete. 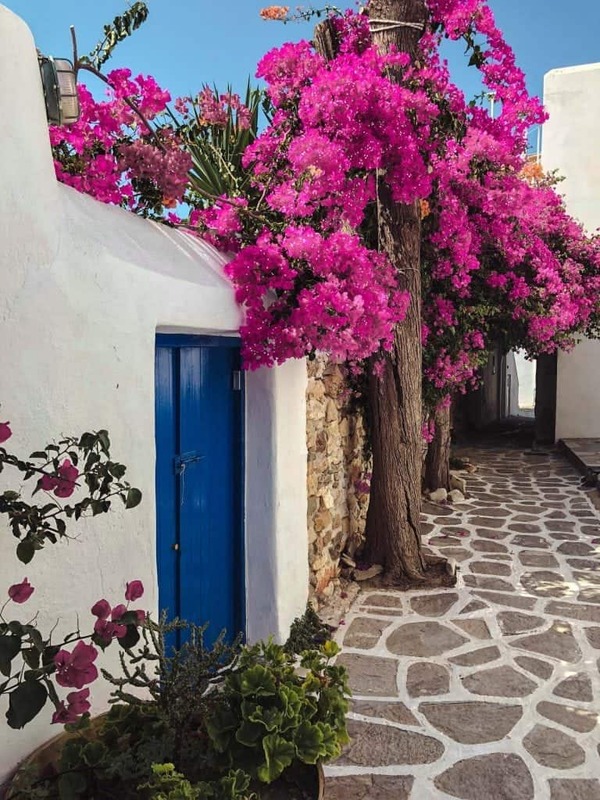 Cyclades: These islands are some of the most picturesque Greek Islands as they are the ones with the traditional whitewashed buildings and blue domes that you have been obsessing over in photos forever. They are quite centrally located to all of the rest of the clusters of islands. Ionian: Northwest of the mainland (on the Italy side), these islands have lush, green interiors and lots of vegetation due to heavy winter rains. Dodacanese: These islands are Southeast and closest to Turkey so they have a Middle Eastern influence. Soranic: These islands are closest to mainland Greece. They are perfect for a day trip or overnight when you don’t want to take a long ferry ride. Many mainland Greeks have holidays homes on these islands. Sporades: These islands are east of the mainland. North Aegean: These islands are furthest East and include both Greek and Turkish Islands. They are a bit off the tourist trail and ferry transport is somewhat infrequent. 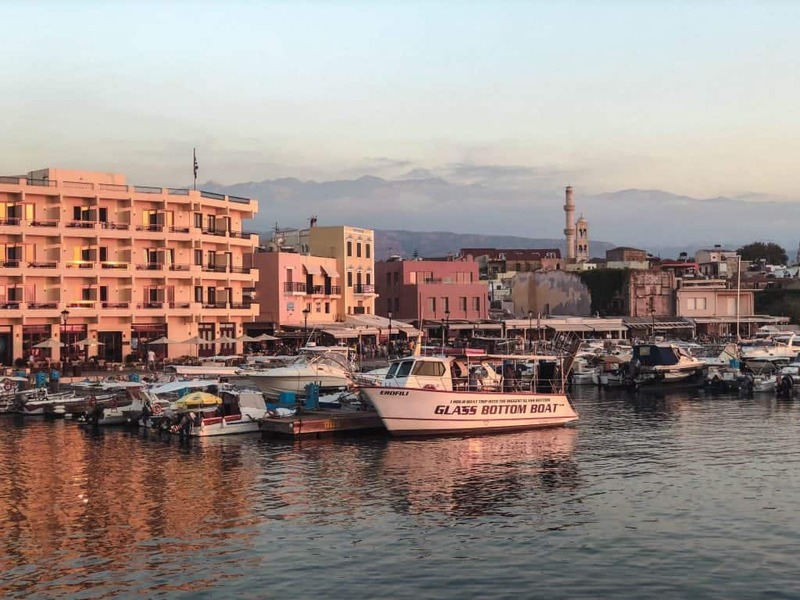 Crete: This is the largest and most populous Greek Island and one that is actually quite accessible even though it is far South. Step 2: Make a list of all the Greek Islands with airports. Well, actually, let me just do that for ya. While this might seem like a long list of airports, most airports in Greece only have direct flights to Athens on either Olympic Air or Aegean Airlines. Only the major islands like Mykonos, Santorini, Crete, Rhodes, and Corfu have seasonal flights to various airports in other European countries. Some of the airlines that fly direct are Austrian Airlines, Alitalia, British Airways, easyJet, Scandinavian Airways, Transavia, and Vueling. Step 3: Become best friends with one of the Greek ferry websites. Personally, I used Ferries.gr to look up the ferry times but there are tons of websites like Let’s Ferry that do the same thing. The first thing you need to do is choose your non-negotiable islands. For me, that was Karpathos, a Dodacanese island in Southern Greece, because that was where the wedding was held. 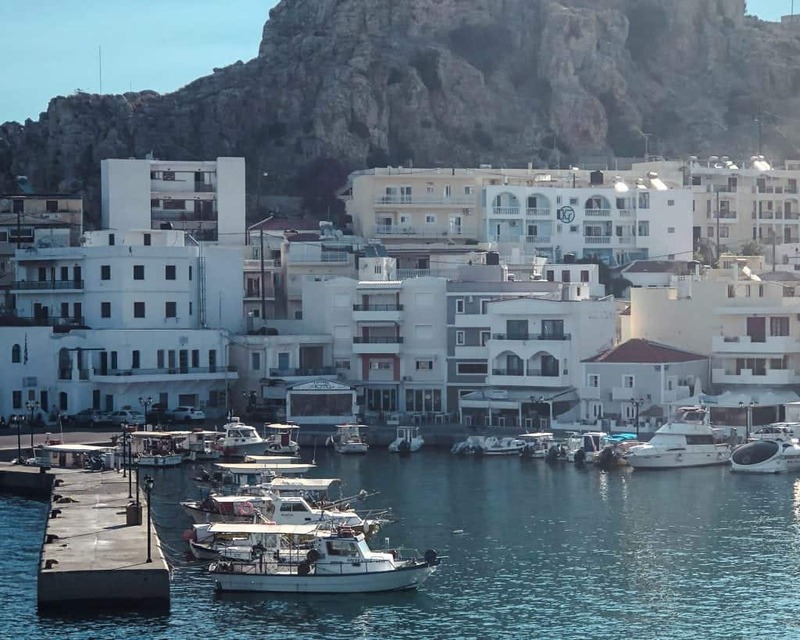 Looking at Karpathos geographically, it made sense for me to include Rhodes and Crete on this trip too along with some islands nearby for day trips. 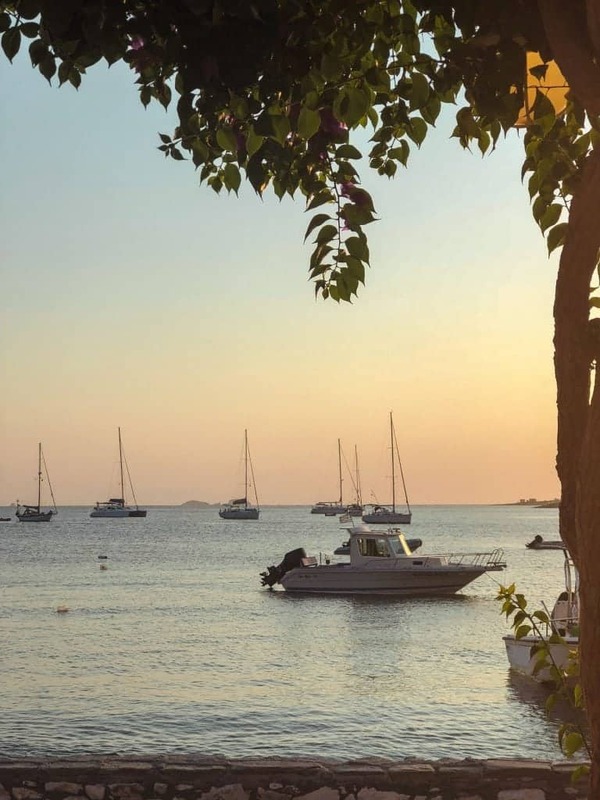 I also fell in love with the idea of going to Paros, Greece from some of the posts I had read, so I knew that I wanted to somehow include that particular island in my itinerary. Once you have your non-negotiables set in place, it is time to come up with a road map for the rest of your trip. 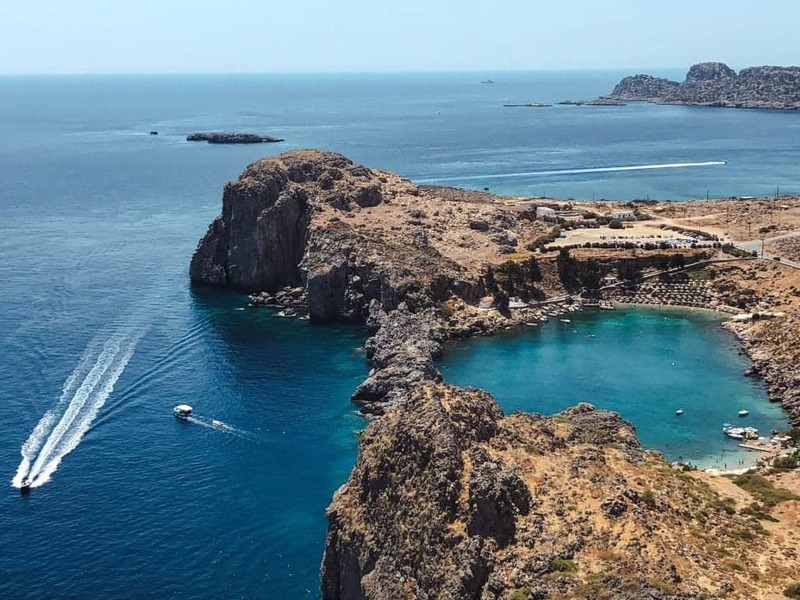 While I originally thought that I could just wing it and go from Karpathos to Rhodes or Karpathos to Crete any day I wanted, I quickly learned that wasn’t exactly the case. Ferries from Karpathos to Rhodes only went a couple times a week and ferries from Rhodes to Crete are not even a thing…you really need to fly between the two islands. Also, getting from Rhodes to Paros would require a flights to Athens, but if I did Karpathos to Rhodes via ferry and Rhodes to Crete via plane, then I could take a ferry from Crete to Paros. 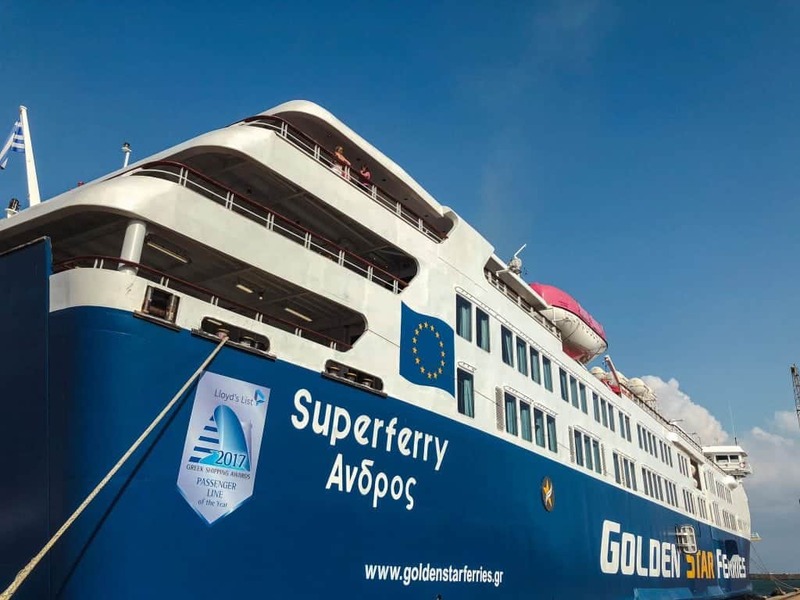 Learning that Crete and the Cyclades are connected via ferry through the Ferries.gr website was critical in determining the best order for Greek Island hopping. I love a spontaneous trip; but, with the limitations I just presented, Greek Island hopping in the summer is best booked in advance. 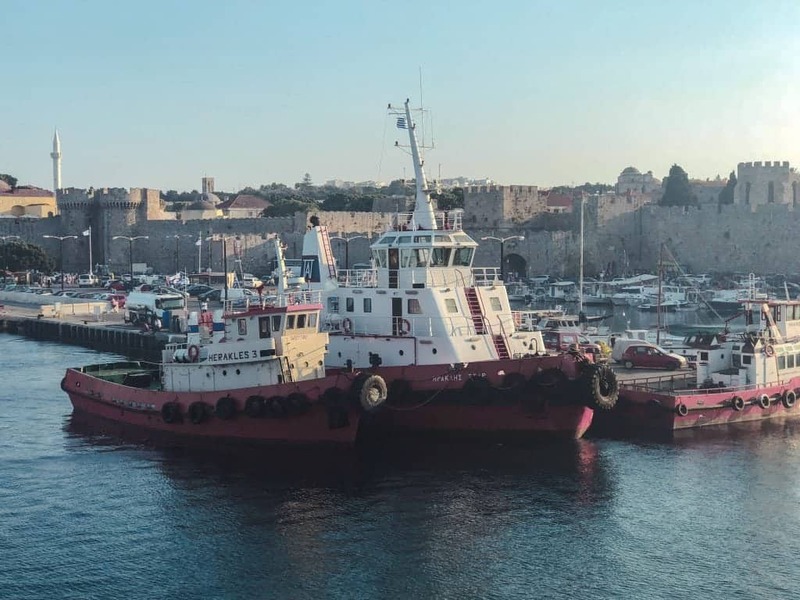 The ferries are something that you can wait on, but accommodations really should be done as far out as possible, especially if you are a solo traveller on a budget and are looking to stay in hostels. Speaking of hostels, you want to take into consideration that not all of the islands have them and if they do, there are only a few and those will book up. 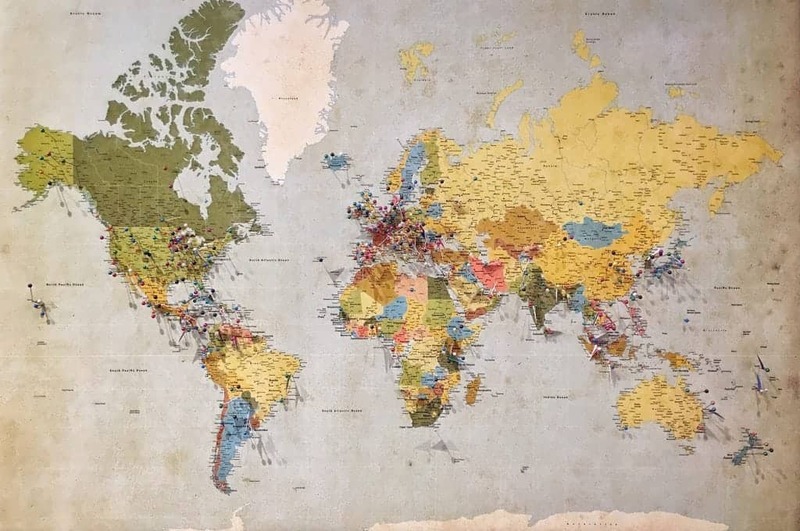 In order to check which islands have hostels, I recommend going onto Hostelworld, typing in the name of the island and seeing if that island does indeed have a hostel in the city center. If you are going to Greece with 2 or more people, then booking an apartment, B&B, hotel, or airbnb makes the most sense. BONUS: if you’ve never used Airbnb, get a $40 credit by clicking here. There are typically a lot more options for these types of properties as opposed to hostels, but I did notice that the prices of these accomodations went up drastically as summer approached. For the first two weeks of the trip, I was traveling with a friend and we stayed in a variety of properties all booked through Booking.com. They have a great cancellation policy, so we were able to book in advance and not worry too much if dates needed to be modified. Greek Island itineraries are endless. The most common routes besides Athens, Santorini, and Mykonos are definitely within the Cyclades, but I encourage you to also branch out and include other lesser known islands if you have the time! Here are some options for you that will work logistically when choosing which Greek Islands to visit. I would recommend being on the island with the airport you are leaving from on the day of your departure. I missed my first flight ever trying to get from Paros to Mykonos for my flight from Mykonos to Manchester and while there was ample time between ferry and flight, the high winds caused for a massive 2-hour delay. Once we got off the ferry, we ran to the taxi stand but there weren’t even any taxis standing by to take us. 18 people ended up missing the flight along with me. After that experience, I think it is important to share that many ferries are delayed and some can even be cancelled if the winds are high enough, so it’s worth the effort to stay overnight on the island in which you are departing from. Along with high winds and long delays came a bit of sea sickness for me and many others on the boat. I had been on 7 other ferries during this trip–many of which were much longer and had no issue–but this one particular ferry was an extreme situation for everyone. It might make sense to take some Bonine or bring a Motion Sickness patch or band along with you. Make sure you get out on the deck when you’re on the ferry and watch the beautiful landscapes go by and feel the light salt spray on your face. It’s absolutely beautiful and should be enjoyed from the outside as well! Guidebooks: If you’re looking for a hard copy to take with you, I would suggest Lonely Planet’s Greek Islands travel guide. Lonely Planet also has a Greek Phrasebook & Dictionary if you have a curiosity for language. I usually go with Rick Steve’s books for Europe, but he does not have a guidebook specifically for the Greek Islands. This post contains affiliate links. That means I receive a small commission if you make a purchase after clicking the link at no extra cost to you. If you are looking for more Greece travel tips, be sure to check out the rest of my posts on Greece.